lost from living memory... or is he? 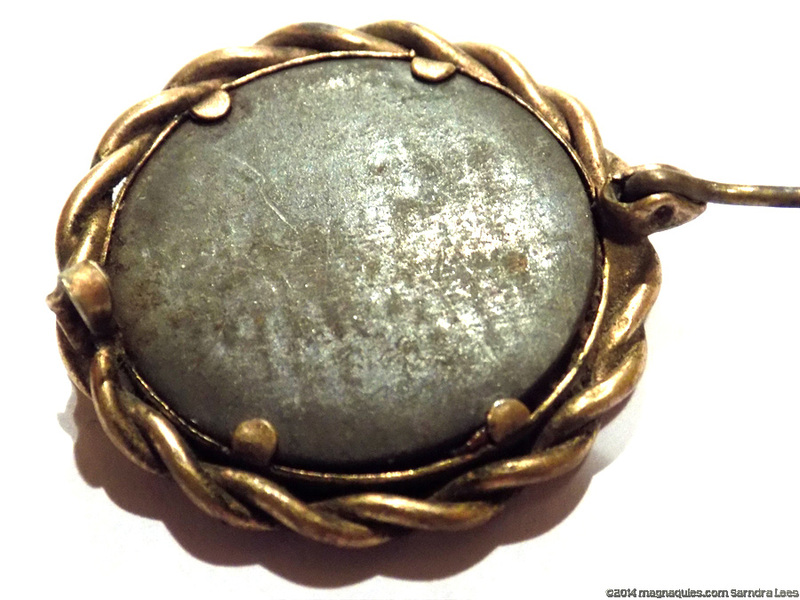 I was delighted with my purchase of this lovely wee 'mourning brooch' this week on www.trademe.co.nz. One of my more expensive spur of the moment buys costing $25 but I couldn't resist the face of this lovely young soldier looking out at me. The woman selling the brooch could not really tell me anything about it but was sure it is a mourning brooch that had belonged to her grandmother who I'm assuming was a New Zealander. Such a shame families don't pass information on. It's obviously been a much loved piece, rather well worn and dirty. The photo has some staining but as it is in the vacinity of 100 years old, not too bad at all! I've certainly seen worse. I decided to scan it to see if I could bring out more detail in the uniform. 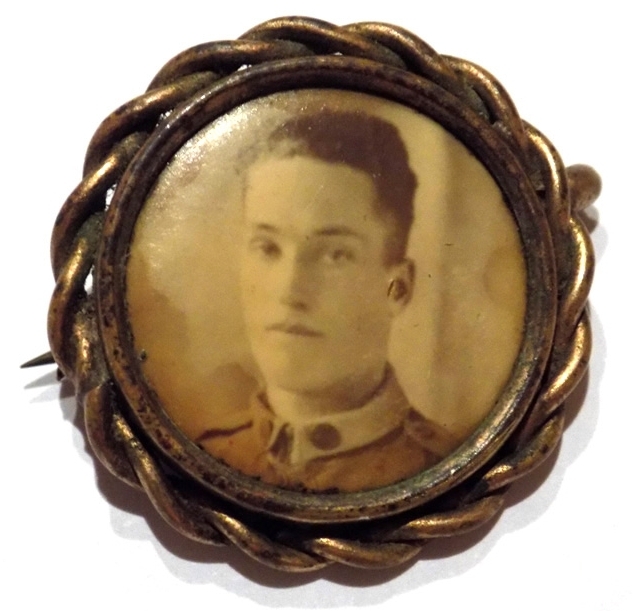 In reality, the brooch is only 2.5 centimetres in diameter and I really want to try and find out which regiment this fellow was in. The scan wasn't very clear so I tried photographing in macro which bought the brooch up clearer, unfortunately the detail of his collar badge wasn't much clearer though. I will be leaving messages in military forums I think! Then I went to photograph the rear and noticed in the light there were very faint markings but I couldn't read them very well. The photo below doesn't quite show how clear the writing is and it is oh so tantalisingly close to being able to be read! I'll be taking it to work tomorrow to look under the microscope.